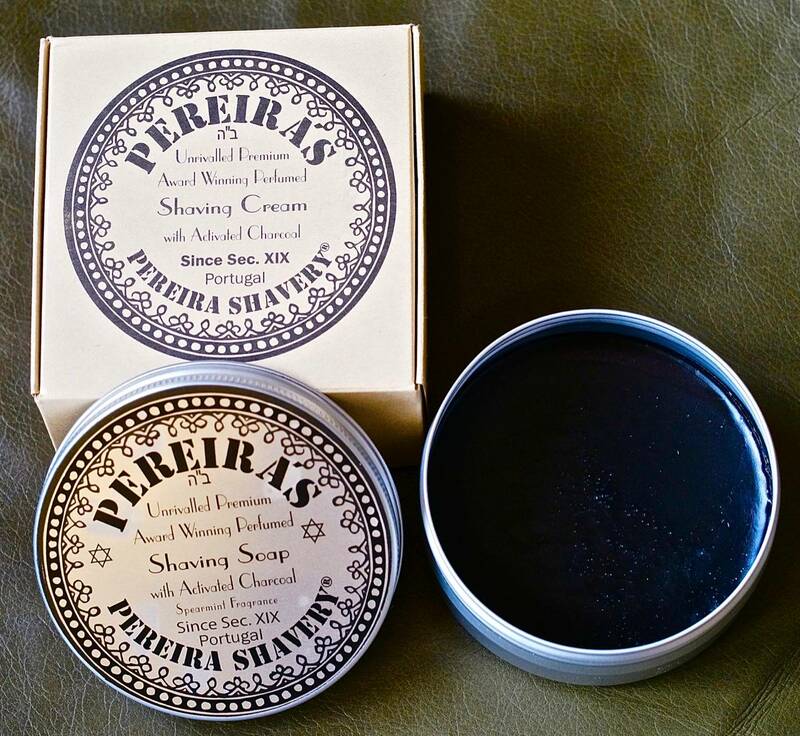 anybody tried Pereiras shaving cream? I was googling around this morning, and discovered a shaving cream I hadn't heard of—Pereiras, from Portugal. Anybody tried it? The website says it contains charcoal, which they say has a number of benefits. I read a few reviews, but they sound like more of an advertisement for the product rather than a review. I sort-of want to try it, I guess just because I've never used a shaving cream with charcoal before. I've gone through two of these, one in the metal tin and one in the ceramic dish. It's an excellent soap. In addition to the thread Hans linked to above, there is also a review by mantic59 in Sharpologist. I just ordered a jar from Bullgoose. Can't wait to give it a try. Hope it doesn't turn my badger black! And, of course, since I'm paying shipping anyway, I thought I should add a bit to the order to, you know, make it worth my while. So, I'm getting a jar of Antica Barbieria Colla Almond Oil Shaving Cream. I hear it's excellent. (02-02-2019, 10:51 AM)David Wrote: I just ordered a jar from Bullgoose. Can't wait to give it a try. Hope it doesn't turn my badger black! It won't do that . The lather is off-white with a tinge of light grey, and it washes off your brush without any issues. Adding the ABC was a good move. I tried it today. Great Stuff!! Scent is awesome, lathers like MDC, very smooth, close shave. Great post shave feel. Only knock would be glide. My razor does not slide effortlessly like it does when using ABC or Nuavia. My Pereiras should be delivered tomorrow. Can't wait to try it with my Saturday shave. It's arrived. I'll try it tomorrow (a holiday here in Canada, so I'll have lots of time for my shave). It sure is black. But, I guess the lather will be a very light grey. I'm undecided on the scent. Definitely some spearmint coming through. Will have to wait until I create the lather to see how it is. So, I've had a week with it. Wonderful shaving soap! I've tried it straight, and with a variety of other soaps to super-lather. My conclusion? Works best as a super-lather with Santa Maria Novella Creama da Barba. In fact, it works perfectly with it. Highly recommended. And, the lather is just a very light grey. No big deal. And, the scent is really nice in a lather. Wasn't great in the jar, but it comes to life beautifully and softly in the lather. I'll probably try the other scents when they come back in stock. I just ordered this soap in Orange Cinnamon. After reading the reviews I can't wait to try it. I got it in the plastic container. I got my soap in today. I used it for tonight's shave. It's just as good as everyone has said it is. I will certainly be buying this soap again. This is a great product. (01-27-2019, 06:18 AM)David Wrote: The website says it contains charcoal, which they say has a number of benefits. I'm sure they do. Now, I am not saying this is not a good soap (I'm sure it is) but the use of charcoal in skin care products (soap, cleansers, masks etc) is currently supported by exactly zero scientific evidence. So the inclusion of it must be considered a gimmick. Just saying. Again, the soap might still be fantastic but if so it's not the charcoal. The soap IS one of the best soaps I've tried, hands down. As for the medicinal properties of activated charcoal, a large number of them is proven by science - although the majority is for internal usage. - Activated charcoal also works as an exfoliant - this has more to do with the size and jaggedness of the particles than any chemical properties though.